Raise up your juice boxes and Ritz snack packs: it’s a big day for any North American pre-teen who watched television in the 90s. The neon-tinged, family-friendly, Dad-joke-filled block of saccharine sitcoms (also known as TGIF) is now twenty-five years old. 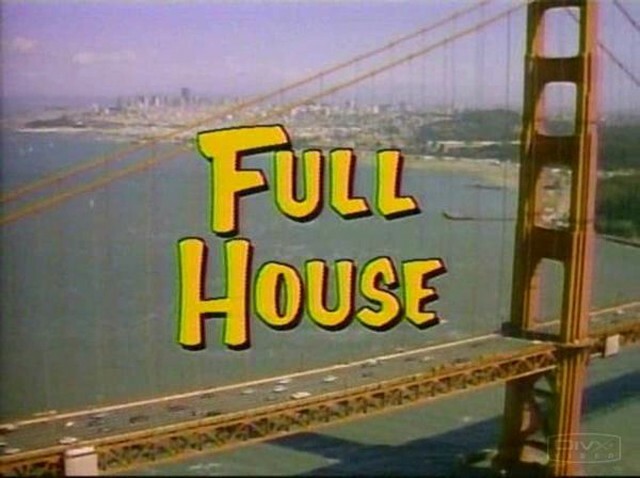 I think we can all agree that it’s a rare condition in this day and age to hear any good television theme music. I can’t think of when I last heard a show theme with any real heart or earworminess to it, let alone enough zeitgeist to carry it into future decades. And yet, TGIF’s chief hit-maker remained mostly an industry secret — until today. BEHOLD: Jesse Frederick. He pumped out melodic, tuneful theme songs with emotional depth and catchy lyrics now carved deeply into the brains of impressionable young adult viewers. I can hear you quietly humming them from here — sing it loud! The man worked hard to earn this powerful Pavlovian response! Frederick slogged away at being a composer and performer as a young man growing up in Delaware. His family’s wealth and focus were tied to the decidedly unmusical industry of poultry processing. I like to imagine him as the teen dude equivalent of Jennifer Beals’ character from Flashdance, a flame in his heart like a long lost friend. Except instead of welding all day and dancing all night, he would process chickens all day and write music at night. After some time, he found his fresh start over, his different hand to play: Jesse caught some traction with a record deal and even put out an album mastered by Todd Rundgren. Unfortunately, the records didn’t go anywhere. But Jesse’s music soon found a place on television and movies. He partnered with Bennett Salvay, who’d already made a name on the scene with work on Happy Days and Laverne and Shirley, and together they produced the most memorable TGIF themes: Perfect Strangers, Full House, Family Matters, and Step by Step. They continued to build the soundtrack to a nineties cultural empire until, like the baby teeth of the Olsen sisters somewhere around Season 3 — they were gone. Frederick and Salvay’s properties wound down as the millennium approached. While their catchy values-driven theme songs continued to live in syndication, the musicians moved on. America’s appetite for good-hearted theme songs had grown up, transitioning from Steve Urkel to Stefan Urquelle in a few short years. This transformation gave way to ABC’s new Friday night lineup, anchored by the synth-amped reality television of Who Wants To Be A Millionaire, which is certainly not anything I’d ever waste my time transferring onto a mix tape for repeated enjoyment like I did with the oeuvre of Frederick and Salvay. Like the fate of most indie music productions, and the Frederick/Salvay pairing itself, The Pop Project didn’t result in eternal fame or glory for the musicians bringing life to TGIF’s tunes — but they really did it for the music. “Frederick and his back-story only made the concept more tantalizing to us, and as we started to pick apart the actual themes, the density of craftsmanship we found just added another layer to our excitement,” Kempa told me over email. The milkman, the paperboy, and evening TV may be long gone, but we of the TGIF years are the future’s only hope for hearing, feeling, and earnestly flat-out loving the ballads of Jesse Frederick. Brianna Goldberg is a writer and producer in Toronto. Find her on on Twitter @b_goldberg.